Our galleries in Dubai (DIFC and Alserkal Avenue) will have extended weekend hours during Abu Dhabi Art Week. Alserkal Avenue galleries are open on Friday, 18 November and Saturday, 19 November from 10.00 am to 6.00 pm. 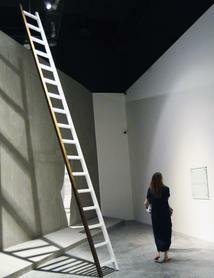 DIFC gallery is open from 9.30am to 8.30pm from 15 to 19 November, including Friday and Saturday. Image: Installation view, Khaled Jarrar, Castles Built from Sand will Fall, 12 Alserkal Avenue, Dubai.